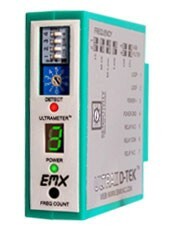 The front panel 7-segment LED DEFLECTOMETER® provides visual feedback and assistance for setting the correct sensitivity, reading the frequency of the loop, reporting Loop Faults, and indicating Delay & Extension Timing functions. With a typical size vehicle over the roadway loop, the DEFLECTOMETER® functions as a Sensitivity Meter. The optimum sensitivity setting should provide a reading of “5”. You can adjust the DEFLECTOMETER® reading by using the front panel UP or DOWN sensitivity buttons. Automatic quantitative feedback of the loop system operation ensures that the detector is set to the most optimum sensitivity level to detect ALL vehicles, including motorcycles and high-bed vehicles. Following power-up or reset, the DEFLECTOMETER® will indicate a 2 or 3 digit number (quickly flashes) that indicates the loop frequency of the loop & loop network. Keeping your loops separated by at least 5 KHz avoids crosstalk problems and future service calls. Operates on 120VAC and 240VAC. 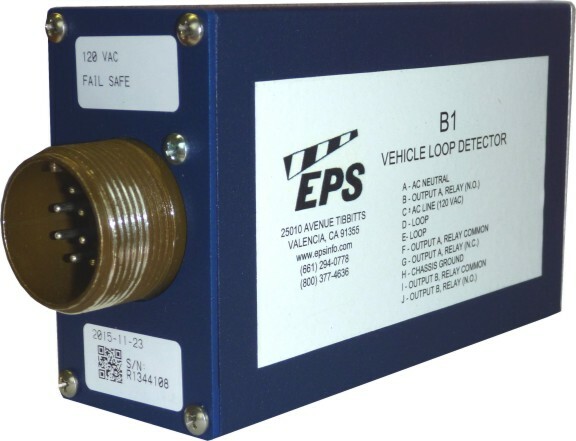 The Loop Fault Memory uses internal Non-Volatile memory to store and display the current and previous loop faults utilizing the front panel “Loop Fault” LED and DEFLECTOMETER®. A power loss or reset will not delete this memory. A MUST FOR TROUBLESHOOTING! A 2-second CALL “Delay” time and 2, 5, or 10-second CALL “Extension” time can be provided. Ten sensitivity settings enable finer adjustment of the detection level. And the four frequency settings provide greater flexibility in preventing crosstalk in multi-loop applications. Input Voltage: 12-30 VDC and 24 VAC, 18ma max. lightning protection. 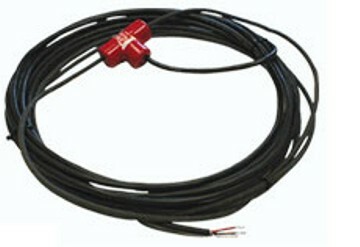 The lead-in wire is twisted, shielded and 50 ft. long. Rugged and flexible TPE tubing with overall diameter of .26 inches suitable for saw-cut, tar and concrete installation. Comes with 50 ft. of twisted and jacketed lead-in wire. Loops can be shipped by UPS. Operating temperature: -60º to +260ºF. Overall diameter of loop wire: 4' X 8' standard (PFL-48), other sizes available.